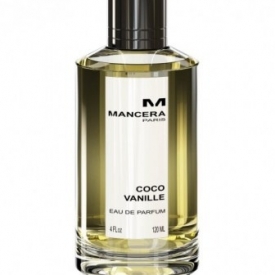 Mancera Coco Vanille Eau de Parfum pays homage to natural beauty, femininity and elegance. It perfectly accentuates your natural charm and relaxed sophistication. It is a sweet, spicy fragrance for the individualistic woman for both everyday wear and special occasions. Opening with an exotic blend of coconut and white peach, Coco Vanille gives way to ylang-ylang, tiare flowers, and Egyptian jasmine for a captivating, floral heart. While in the base, Madagascan vanilla and sensual white musk ensures a mesmerising trail. Coco Vanille was launched in 2016. Creator of the fragrance is Pierre Montale. 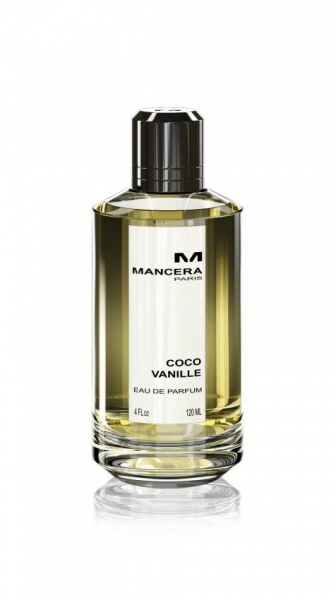 Despite that Mancera Coco Vanille EDP has in its title 'Vanilla' and 'Coco' which I mostly tolerate in other beauty items, this scent has impressed me with its sophisticated pyramid. It is indeed sweet, I would say even creamy like an ice cream, with an undertone of peach and jasmine. It is not cloying or generic, but has a character to it that speaks of luxury, confidence, independence. One spray of the perfume at the pulse point - and there is no need to worry of its re-application for a very long time. It may be a bit heavy to be worn to the office, I would say that its proper place is an evening gala, or a party, or a date. The price is, unfortunately, not so tempting, but having used my share of 2ml sample I am seriously considering buying a full sized bottle (if not 120ml, than at least 90ml).